In a recent study, Atladóttir et al. found correlations between prenatal exposure to maternal infection and the development of autism spectrum disorders (ASD) in children. It has been suggested that prenatal exposure to maternal infections may increase the risk of children developing ASD. Atladóttir et al. set out to investigate the relationship between maternal hospitalization for infection during pregnancy and development of ASD in children. Data was collected from national registers for all children born in Denmark between 1980 and 2005. The study population included 1,612,342 children, 10,133 of whom had received ASD diagnoses. The data was analyzed based on maternal hospitalization for infection during pregnancy and ASD diagnoses in children. The results revealed no overall correlation between ASD and maternal hospitalizations for any infections across the entire duration of pregnancy; however, findings did show ASD to be associated with maternal hospitalizations for viral infections during the first trimester, and maternal hospitalizations for bacterial infections during the second trimester. Findings suggest that prenatal exposure to maternal viral infections within the first trimester and prenatal exposure to maternal bacterial infections within the second trimester may increase the risk of children developing ASD. Further research investigating the correlation between maternal infection during pregnancy and the development of ASD in children is warranted. In a recent study, Lisa Baltruschat and other CARD researchers found evidence suggesting that behavioral intervention may improve working memory in children with autism spectrum disorders (ASD). Many children with ASD exhibit deficits in areas of executive functioning including working memory, the ability to simultaneously store and process information. In a previous study, Lisa Baltruschat and other CARD researchers found positive reinforcement to be effective in improving counting span task performance in three children with ASD. The purpose of the current study was to investigate the use of positive reinforcement in improving performance on complex span tasks, a more involved measure of working memory. Participants included three children with ASD, ages 6 to 8 years. Working memory was assessed via complex span tasks, in which participants were presented a series of flashcards each displaying a specific item. After each flashcard was presented, the participant was asked a distraction question regarding the item depicted on the flashcard. Once the entire series of flashcards had been presented, the participant was asked to recall each item displayed on the flashcards in order. During training, participants received positive reinforcement for correct responses and corrective feedback for incorrect responses. All participants showed significant improvements in complex span tasks. In addition, skills generalized to novel stimuli and were maintained after treatment was completed. This study is of the first to investigate the use of positive reinforcement in improving working memory in children with ASD. The findings suggest that behavioral intervention may be effective in improving complex span task performance in children with ASD. Further research exploring the use of behavioral intervention in improving skills related to other components of working memory and executive functioning, as well as investigating the application of such skills in the natural environment is warranted. The Center for Autism and Related Disorders, Inc. (CARD), considered the world’s largest organization effectively treating children with autism, has announced it has officially kicked off the Marines Toys for Tots toy drive for the holiday season. The event benefits less fortunate youngsters in the community. The toy drive will take place at CARD’s 20 stateside offices from November 10 through December 17, 2010. "The Center for Autism and Related Disorders has been an integral part of the community for 20 years,” says CARD Founder and Executive Director Dr. Doreen Granpeesheh. “Participating in the toy drive gives CARD the opportunity to make a difference and bring some happiness to many children this holiday season." CARD’s goal is to collect a combined total of $100,000 worth of toys. CARD is asking the public to donate new and unwrapped toys that will be distributed to shelters throughout the city. CARD has designated two Drop-Off days on December 2nd and December 10th, from 9am to 5pm. Office locations are listed at www.centerforautism.com/About/CARD_Locations.asp. For more information on donating toys, contact Maria Delgadillo, CARD Employee Relations Coordinator, at 818-345-2345 ext. 309 or email: m.delgadillo@centerforautism.com. 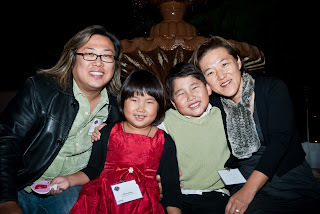 CARD, headquartered in Los Angeles, California, maintains a reputation as one of the world’s largest and most experienced organizations effectively treating children with autism, Asperger’s Syndrome, PDD-NOS, and related disorders. Following the principles of Applied Behavior Analysis (ABA), CARD develops individualized treatment plans for every child. CARD has 22 treatment centers around the world. For more information about CARD, visit www.centerforautism.com. The Center for Autism and Related Disorders, Inc. (CARD), the world's largest provider of top-quality behavioral intervention services to children with autism, has announced Founder and Executive Director Doreen Granpeesheh, PhD, BCBA-D, has been awarded the 2011 American Academy of Clinical Psychiatrists (AACP) Winokur Award for her research article, "Retrospective Analysis of Clinical Records in 38 Cases of Recovery from Autism," which was published in the August 2009 Annals of Clinical Psychiatry. The award will be presented at the AACP Annual CME Conference to be held at the McCormick Place Hotel in Chicago on April 15-17, 2011. 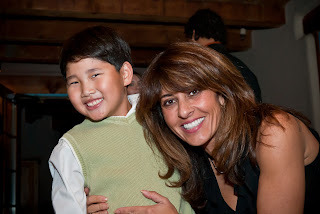 Dr. Doreen Granpeesheh with Derek Song (recovered from autism, using the CARD curriculum). "I am honored to receive this award," says Dr. Granpeesheh. "This study is the first step in a line of research we (CARD) are doing that will further document recovery, identify variables that support and prevent it, as well as improving the effectiveness of Applied Behavior Analysis (ABA) treatment so that a greater percentage of children can recover." Dr. Granpeesheh led the CARD research team on the first study ever to document recovery in a large group of children with autism. "Retrospective Analysis of Clinical Records in 38 Cases of Recovery from Autism" study found that some children with autism who receive early intensive behavioral intervention recover from the disorder, achieving functioning levels that are indistinguishable from typically developing peers. The researchers, Doreen Granpeesheh, PhD, BCBA‐D, Jonathan Tarbox, PhD, BCBA‐D, Dennis R. Dixon, PhD, and collaborators Edward Carr, PhD, and Martha Herbert, MD, PhD, summarized the outcomes of children with autism who achieved IQ scores in the average range, significant increases in adaptive skills, and later lost their Autism Spectrum Disorder (ASD) diagnosis. Study participants' average age at intake was 3 years, 4 months, and each received intensive behavioral intervention from CARD for a minimum of 12 months. Average IQ was 83.6 at intake and 107.9 at discharge. Average adaptive skills were 68.04 at intake and 88.87 at discharge. Senior clinical staff involved with the treatment of the research participants also reported that the children achieved age‐appropriate functioning in school and other areas, and no longer required support of any kind after discharge. "Children have been recovering from autism through ABA treatment for decades now, but this is the first study to document it in a relatively large group of children," says Dr. Jonathan Tarbox, CARD Research Director. "Several of the participants in this study are actually in college right now. It's really amazing to see. Many people in mainstream society are unaware that recovery from autism exists and many still try to deny it. But the fact of the matter is that recovery exists and people working in top-quality ABA programs have seen it for years." Dr. Granpeesheh will be presented with the Winokur Award at the AACP Annual CME Conference, to be held at the McCormick Place Hotel in Chicago on April 15-17, 2011. Dr. Granpeesheh has dedicated over thirty years to helping individuals with autism lead healthy, productive lives. Dr. Granpeesheh began her studies in autism as an undergraduate student at UCLA. While completing her graduate degree there, she worked with Dr. Ivar Lovaas on the world-renowned outcome study published in 1987 which showed a recovery rate of close to 50% among the study's research participants. She earned a PhD in Psychology from UCLA in 1990. Dr. Granpeesheh is licensed by the Medical Board of California, the Texas, Virginia and Arizona State Boards of Psychologists, and the Dubai Healthcare City. She earned a Certificate of Professional Qualification in Psychology from the Association of State and Provincial Psychology Boards and is a Board Certified Behavior Analyst. She is an active member of many boards whose mission is to advance the treatment of autism. She is on the Scientific Advisory Boards of the Autism File Magazine, Autism 360 and the 4A Healing Foundation. Dr. Granpeesheh is on the Practice Board of the Association for Behavior Analysis International, the Board of Directors of InCept and is a member of the Autism Human Rights and Discrimination Initiative steering committee, the North Los Angeles County Task Force of the Senate Select Committee on Autism, and the Oversight Committee of the Department of Developmental Disabilities for the State of Arizona. 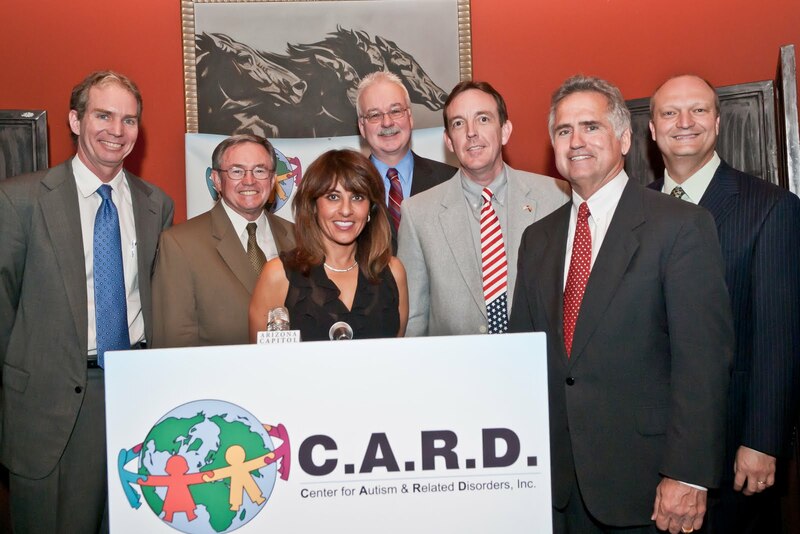 She also is the founding member and President of Autism Care and Treatment Today (ACT Today! ), a nonprofit organization that helps families access effective treatment. Dr. Granpeesheh is known throughout the world as an expert in the field of autism research and treatment. Specific areas of expertise and research include curriculum development from early intervention through the early stages of adulthood, diagnostic, developmental and behavioral assessment, higher order skill acquisition, long term outcomes, and the effects of medical interventions in conjunction with behavioral programs. She has trained thousands of professionals and families on her treatment techniques and curriculum, leading to a faster dissemination of quality treatment information. Dr. Granpeesheh has not only helped tens of thousands of families, but has successfully helped many children and young adults attain their highest potential, giving further merit to the notion that autism is treatable and that affected individuals can lead independent, meaningful lives. The American Academy of Clinical Psychiatrists (AACP) established its Clinical Research Award in 1979. Winners are selected annually from original research published during the calendar year. The Awards are given at the next Academy conference. Judging is conducted by the Academy's Research Award Committee and all decisions are final. The Center for Autism and Related Disorders announces the outcomes of its study on 14 children with autism, who achieved substantial levels of growth, including the removal of the autism diagnosis with nearly half of the participants. 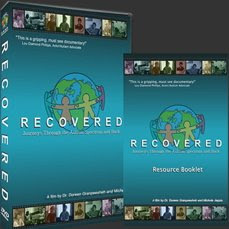 A landmark study conducted by the Center for Autism and Related Disorders, Inc. (CARD), the world’s largest provider of early intensive behavioral intervention for children with autism, shows children with autism are capable of making dramatic gains across all areas of functioning, including recovery from autism. The report was released, November 11th in Phoenix, Arizona by CARD Founder and Executive Director / Behavior Analyst Dr. Doreen Granpeesheh. Autism is a pervasive developmental disorder that is marked by the presence of impaired social interaction and communication and a restricted repertoire of activities and interests. Autism is currently estimated to affect as many as 1 in 110 children, in America and is four times more common in boys than in girls. In 2007, the state of Arizona allocated funds for a three-year program that evaluated the effects of behavioral intervention for 14 young children with autism. All children received 25 or more hours per week of one-to-one teaching and therapy, by trained professionals. Their therapy consisted of intensive teaching, based on the principles and procedures of Applied Behavior Analysis (ABA), a scientifically proven treatment for autism. The CARD Model of ABA, which focuses on blending intensive, structured teaching, with less structured, play-based behavioral intervention techniques, was implemented in the study. Treatment plans were based on identifying what motivates the children and based treatment activities on the desires and interests of children involved. As part of the study, the CARD treatment integrated a careful assessment of each child’s strengths and deficits and directly addressed each area of need through targeted teaching programs. “I have followed the progress of these children over the past three years and the results are spectacular,” says Arizona Senate President-Elect Russell Pearce. In accordance with previous research, CARD found that many of the children made substantial gains in cognitive and adaptive functioning as well as language skills. 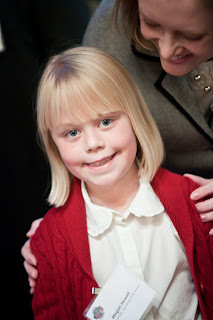 Most of the children also demonstrated significant improvements in executive functioning. After treatment, the average T-score for the group on the BRIEF, a measure of overall executive functioning, was 61, well below the cut-off for clinically significant impairment. Parent stress was also decreased dramatically, with a mean post-treatment percentile score of 68, also well below the cut-off for clinical significance. In addition, 8 out of 14 children were functioning in the average range on the Vineland ABC, a measure of overall adaptive functioning, whereas only 2 of 14 were in the average range before treatment began. Dramatic improvements are evident for approximately half of the participants, with 43% of children no longer displaying clinical symptoms of autism. Among the study’s major findings is that children who developed language skills early in therapy made greater gains over time. In addition to the children who recovered from autism, the other half of the program participants made substantial gains as well. In addition, children who were most severely affected by autism made substantial gains in their ability to communicate and live independently. Even the children whose progress was the slowest experienced significant decreases in challenging behaviors and increases in independent communication and leisure skills, thereby resulting in improved self-reliance and quality of life. “This project provides further proof that autism is treatable and that behavioral intervention is effective, when done properly,” says Dr. Jonathan Tarbox, CARD Director of Research and Development. What makes this study unique is the successful partnership between the state of Arizona, CARD (a private agency), and families affected by autism. The program is now a model for the implementation of effective, comprehensive, intensive behavioral intervention for children with autism. For questions regarding this study, contact Dr. Jonathan Tarbox at j.tarbox@centerforautism.com. For more information about the CARD curriculum, visit: www.centerforautism.com and www.skillsglobal.com. The Center for Autism and Related Disorders, Inc. (CARD) is the world's largest and most experienced organizations effectively treating children with autism and related disorders. Following the principles of Applied Behavior Analysis, a behavioral treatment approach that has been thoroughly and empirically validated by the scientific community, CARD develops individualized treatment plans that focus on teaching vital skills. CARD’s extensive curriculum consists of programs to teach language and communication, social skills, self-help skills, fine and gross motor skills, play skills, social cognitive skills and executive functioning skills. Programming in each of these areas follows a hierarchical advancement that utilizes combinations of errorless teaching, discrete trial training, fluency and natural environment training. The CARD program supports biomedical interventions for autism and promotes the use of these interventions to stabilize the child’s medical condition prior to and during behavioral intervention. CARD is committed to science as the most objective and reliable approach to evaluating treatment for autism. CARD’s mission is to conduct empirical research on the assessment and treatment of autism and to disseminate research findings and derived technology through publication and education of professionals and the public. While the primary focus of CARD’s research is ABA-based methods of assessment and treatment, CARD’s overall approach to research includes any topic which may hold promise for producing information that could improve the lives of individuals with autism. CARD provides both regional and remote services around the globe through its 20 satellite sites in Arizona, Australia, California (12), Illinois, New York (2), New Zealand, Texas, Virginia, and its affiliate sites in the United Arab Emirates and South Africa. 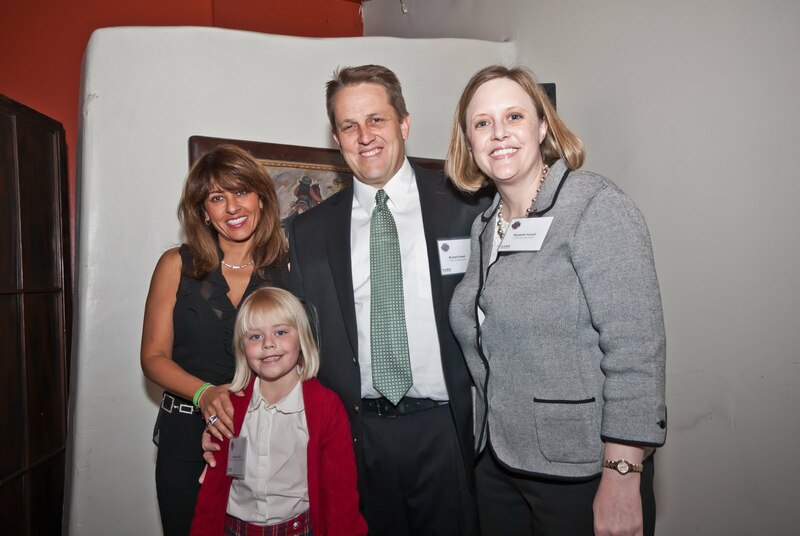 With a mission to increase access to the most effective treatments, CARD has developed strong working relationships with parent organizations, schools, government agencies all over the world and across six continents. CARD was founded by Executive Director Doreen Granpeesheh, PhD, BCBA-D, in 1990. For more information about the Center for Autism and Related Disorders, visit: www.centerforautism.com. A new study by the Center for Autism and Related Disorders (CARD) suggests that kids who have autism can recover with the help of intensive behavioral therapy over a three-year period. The report was released today by the Phoenix-based group’s founder and executive director, Dr. Doreen Granpeesheh. Fourteen children were tested, given 25 hours or more per week of one-on-one teaching and therapy by trained professionals. CARD says many of the children made “substantial” gains in cognitive and adaptive functioning as well as language sills. Most of the children, says the study, also made significant improvements in executive functioning. For more information about CARD and the study, click here: http://www.centerforautism.com.